Lush forests and meadows lie nestled in the inner basin of the San Francisco Peaks. An ancient volcano formed these mountains, the highest in Arizona. 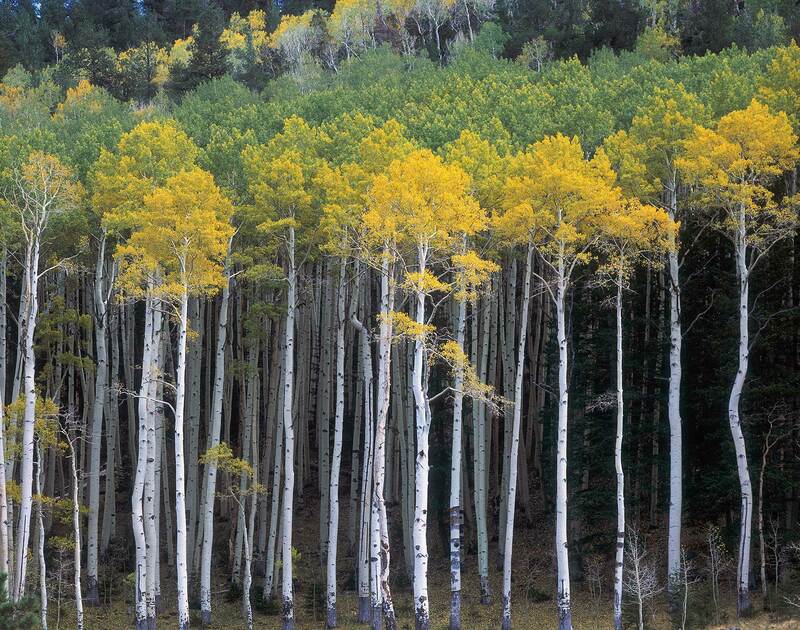 This photo captures tall, slender aspens from this area changing between green and gold in autumn. In 2010, a man-made wildfire ravaged the opposite slope, killing the trees near the top of the frame, defoliating the mountainside, and setting the stage for flooding that destroyed homes miles away. Fortunately, firefighters were able to stop the blaze just before it reached this sensitive habitat.